First, I’d like to commend you for agreeing in Parliament to subject yourself to a lifestyle audit. Given the magnitude of the allegations that have accumulated during your time in the Mpumalanga Provincial Government – many of them set out in great detail recently in the New York Times – it is crucial that South Africans know the truth. A thorough and independent lifestyle audit is a good place to start, and I trust that you will make good on this promise. But I have some more questions for you that won’t be answered by a lifestyle audit. I have reason to believe that you haven’t been completely honest with us about your past interactions with the Guptas and their local proxies, and I would like to afford you the opportunity to come clean. As you well know, everyone in the ANC is currently scrambling to disassociate themselves from “state capture“. No one can afford to have any links to the Gupta brothers, the Zuma family and the vast network of men and women who were deployed to enable their plunder. Soon, I suspect, you won’t find a single person who ever knew the Guptas. 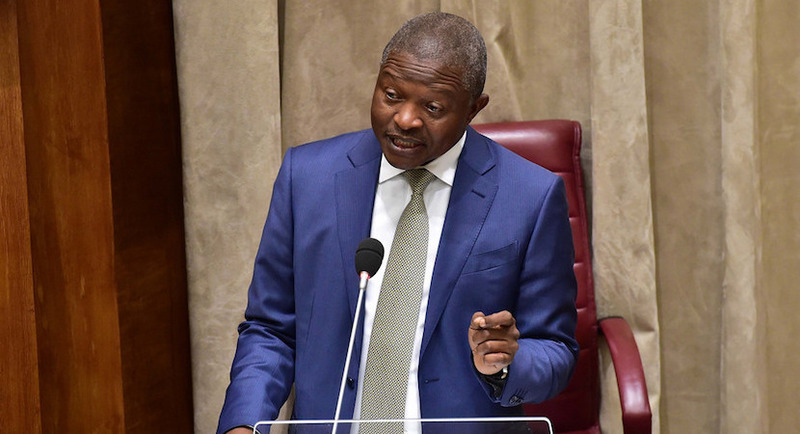 Deputy President David Mabuza answers questions in National Council of Provinces. Before we all suffer the amnesia brought on by this scrubbing of history, it is crucial that we lay all the facts on the table. If our country is to move on from this destructive chapter, then we will need full disclosure from all those who might still have Gupta question marks hanging over their heads. This includes you, Deputy President. Thanks to a concerned citizen, we received information contained in the passenger manifest of a flight by the Gupta-owned Bombardier Global 6000 aircraft from Johannesburg to Moscow on 26 October 2015, as well as its return flight three weeks later on 14 November. This was during your time as premier of Mpumalanga. While it is already public knowledge that you were on board this aircraft for both these flights, what has come to light now is the identities of your fellow passengers. And this is where you will need to clear up a number of things. You claim to have taken up the offer of this flight by the then president’s son, Duduzane Zuma, so that you could receive medical treatment in Russia after supposedly having been poisoned at your birthday celebration in August. According to your spokesperson at the time, you were gravely ill and in no position to carry yourself onto a commercial airline. He claimed that Duduzane Zuma’s intervention might just have spared your life. What isn’t clear, however, is why a man in your perilous medical condition was not accompanied on a long-haul flight by a family member or care-giver, not to mention a medical doctor – this despite the aircraft having several empty seats. Equally suspicious is the fact that the other five passengers on the flight were three Gupta employees, a senior Russian mining official and Duduzane Zuma himself. 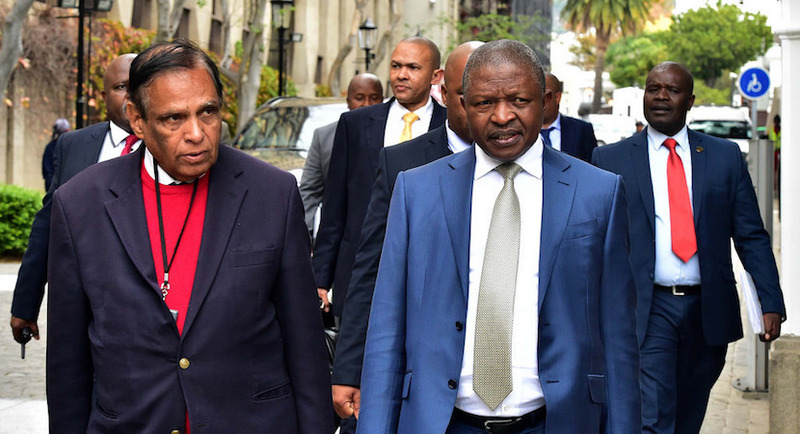 Trotsky Fuzani, Sehularo Solomon Letshwenyo and Zacharia Kagiso Moteme were all listed as employees of the Gupta-owned mining investment companies, Westdawn and Mabangela. Duduzane Zuma runs Westdawn and sits on the board of Mabangela. The fifth passenger, Ruslan Gorring, is the first deputy director of the Russian State Geological Company (ROSGEO), and is tasked with negotiating mining deals between Russia and foreign governments. We’ve also learnt that Duduzane Zuma, along with Rajesh Gupta, flew in to Moscow from Delhi on 14 November in the same Bombardier Global 6000 aircraft to collect you along with Fuzani, Letshwenyo and Moteme and bring you back to South Africa. The five of you were the only passengers on this flight, Gorring having stayed behind in Moscow. Finally, the account of your alleged poisoning only surfaced after it was revealed that you had been on board these flights. One would think that a serious crime like an attempt to poison the premier of a province would result in an urgent and thorough police investigation, but it seems this didn’t happen. You don’t appear to have opened a case with SAPS, and there is no evidence of any police investigation into this alleged assassination attempt. Having seen the evidence laid out before you, Deputy President Mabuza, I think you’ll agree that none of it adds up to your story of a birthday celebration poisoning and subsequent life-saving treatment in Russia. Knowing what we know today of the Guptas’ modus operandi and the extent of their influence, it doesn’t take a detective to connect the dots here. Since you have confirmed that you did take these flights, what were the exact circumstances under which the flights were offered and accepted, and what are the names of the passengers who accompanied you both ways? Did you, in your capacity as premier of Mpumalanga, ever meet an individual by the name of Ruslan Gorring? If so, please clarify the reason for this meeting and sketch the details of what was discussed. With regards to your claim of having been poisoned in August of 2015, were criminal charges ever laid? If so, please disclose the case number, confirm whether there was an investigation and confirm whether anyone was charged for this crime. Did you receive medical treatment in South Africa for poisoning? If so, at which hospital were you treated? Similarly, did you receive medical treatment in Russia for poisoning, and if so, at which hospital were you treated? It is crucial that we get straight, honest answers from the man who occupies the second-highest office in the country. We cannot move forward if our government is still being dragged by the anchor of state capture and Gupta influence. So, please take the country into your confidence, Deputy President Mabuza, and play open cards with us. That is the very least the people of South Africa deserve from you. There are many other questions that still remain unanswered by you. Issues like the silencing of journalists and the disappearance of your political opponents in Mpumalanga, and the alleged funneling of money meant for Mpumalanga schools into your patronage network. We will get round to all of these in due course, but for now I ask that you clarify your three week trip to Russia in 2015 aboard a Gupta aircraft, accompanied by Gupta employees, Jacob Zuma’s son, a Russian mining official and Rajesh Gupta himself. If the state capture episode has done one thing, it has opened our people’s eyes to the scope of the lies and deceit. No one is naïve about this anymore, so I suggest you stick to the truth in your answers.